Kyra has been with CFC essentially since the beginning. She came in looking for a change and to find a new CF home/community and has become a staple member week in and week out, following the program and percentages to perfection and making some significant progress. She is never one to back down from a long workout and as we found out in this year’s open, will go all-out to the bitter end every single time. Over the last few weeks/months, our coaching team has seen a change in the way Kyra approaches her strength/skill work and workouts; in pushing herself to do more. It is a pleasure to watch, coach and nurture. Congrats Kyra! 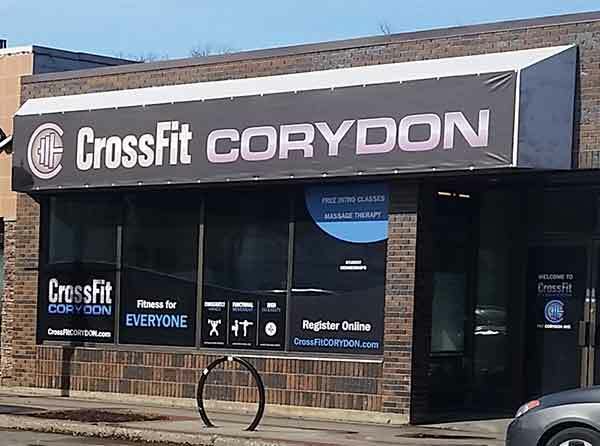 I must confess I was a New Years resolutioner and in an unusually brave moment I signed up for an on-ramp at Crossfit Winnipeg. That was two years ago and I say every day it was the best thing I ever did for myself. Before that I went to ‘regular’ gyms where I didn’t accomplish a lot. The coaching and training keeps me coming back, there is no way I could be remotely close to this level of fitness without Crossfit. The best part is that it is transferring over to everyday life where I feel more strong and confident, because the workouts are always different and always challenging, so each day I feel a real sense of accomplishment. 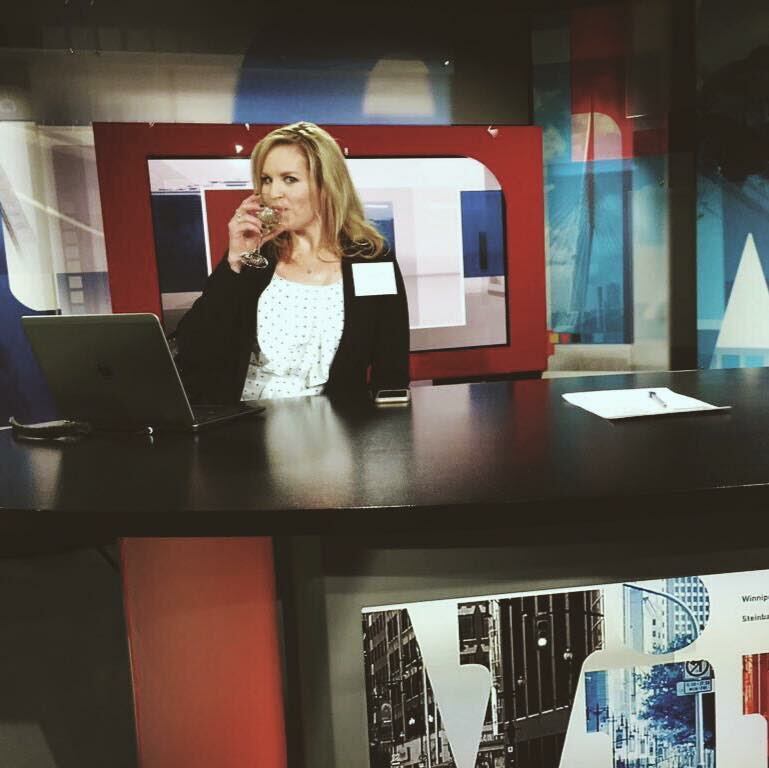 Drinking wine, wait, what? 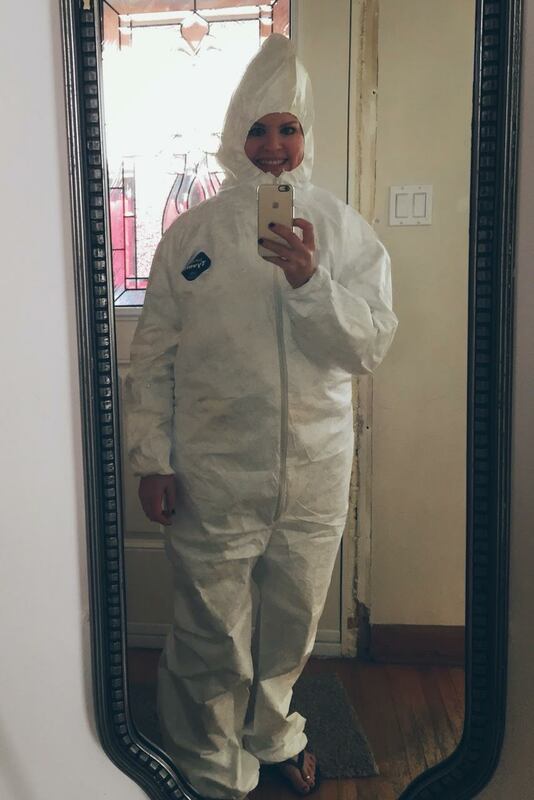 What I meant to say was hanging out with my family, going to the park with my dogs, photography, eating sushi, renos with my boyfriend–you would be amazed at what I can demo if you put me in a Tyvek suit not to mention my drywalling skills. Also I am pretty focused on being successful in life and in my career, so I read a lot of books and articles and spend a lot of time in that regard, so that I can be the best version of myself, and Crossfit is a big part of that. 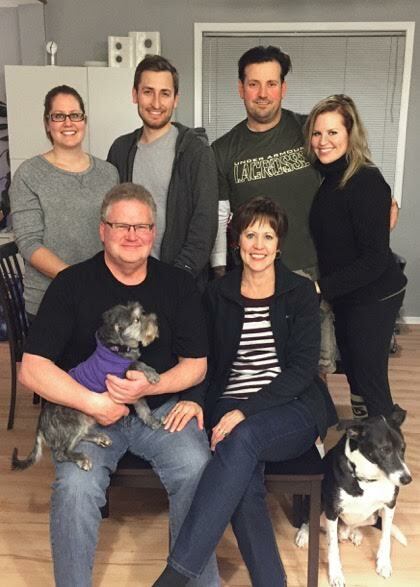 CFC is an important part of my life, one hour a day at CFC takes care of my physical, mental, and social health. The coaching and the community. The structure of the classes and the smaller size of the gym means you essentially get personal one on one training every time. The coaches get to know all of the members individually and give specific feedback and help everyone progress at their own level. All of the members are great, we help each other out and we are becoming really good friends. There is always an atmosphere of positivity and excitement in the gym. Right now my favourite is cleans. I feel strong when I do them especially since I really just got into ‘getting’ the movement and being able to go a bit heavier on it. 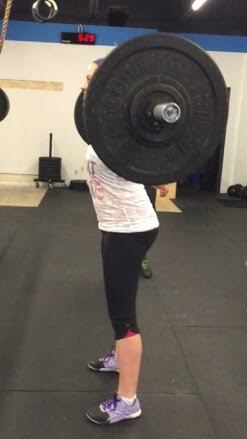 Also when you do cleans you are doing a move that not a lot of people outside crossfit/lifting can do so I feel pretty cool being able to do it. ite as I typically feel like I am going to die even if I am only a foot off the ground. My Mom! She is very strong and brave and speaks her mind and somehow knows the best solution to any challenge or issue. Also Dave Grohl, he is so talented not to mention extremely good looking, any music he makes is the best ever and he has been successful being himself and not selling out, which is something I think is very important. The 2016 Open. I am so thankful to everyone at CFC for encouraging me to sign up because I normally would have been too intimidated to take it on. Because of doing the Open I am now better equipped to push myself in workouts (and in life) and I know the feeling of working at my max effort whereas before I always held back a bit. Especially 16.2 where I maxed out on squat cleans I would have normally never been brave enough to even attempt (they did crush me but I still tried). Shane is awesome, he is a good mix of all business and a chill personality. I like when he is coaching because he doesn’t give in when I am slacking and he pushes me to always go harder. If something isn’t working he always comes up with strategies and ideas to get past it. Also I know he is secretly a nerd and I am secretly a nerd too so that’s fun. Taylor is such an inspiration–he has a good career and owns a gym and works out 3 times a day and yet is always happy and never stressed out and somehow still has time for friends and free time. I need to be more like that. In a workout, Taylor is really good at giving the right cues to help get past something that has been sticking. And he plays 90s music!!! Matt has the knowledge of someone who has been coaching for 100 years. He knows a stretch or movement to work out any mobility issue that comes up. Matt’s personality is a good mix of confident and chill, he keeps things fun and he pushes hard in a workout without making me feel like I am being pushed. Jason is exhausting before the workout even starts, because I can’t stop laughing at him. He always has cheesy 80s music going, he sings and dances while the metcon is on, you burn double calories when he is coaching because of all the laughing. Jason’s positive energy is very encouraging and keeps me going when I feel like I can’t go any more. Somehow I need to be able to do a handstand this year, there is no reason I can’t already other than nerves about being upside down. Also running 5k without stopping, I don’t know why I can’t do this already so I just need to work at it. Oh dear I don’t have any facts I’m too nervous… they say you should tackle your fears to get over them, two years ago I rappelled down the RBC building downtown which is 17 storeys. They had to push me over the edge and I was shaking the whole time. It took me over 20 minutes to get down instead of 2-5 like everyone else. I don’t know how I didn’t die of heart failure but now I am even more scared than ever. Thinking of this is making me hyperventilate. I’m scared of everything… This might be interesting, I was a vegetarian for 2 years (to the day) then I quit. For steak. Also April 1 I am doing my first Toastmasters speech, so I really am working at being awesome right now!